We can now finally say that Avengers: Endgame is coming out this month and, with that, Marvel is giving the highly-anticipated movie event one last big marketing push. Not that they need to, of course, as the film is already set to decimate box office records with a potential opening weekend of $800 million. One of the new pieces of promotional material that’s come our way though is this awesome Dolby Cinema poster which features some gorgeous team artwork. All of the surviving heroes are included on the poster, from Captain Marvel to Okoye. There’s even an intriguing detail in there that could tell us something we didn’t know before. 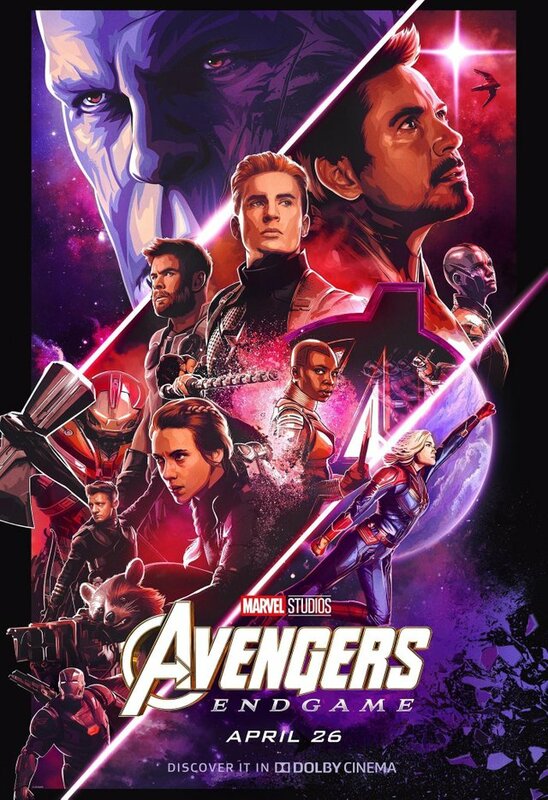 The poster is sliced into thirds, with Thanos leering over the Avengers at the top and Captain Marvel soaring through space in the last third. In the middle, 12 heroes are squeezed in. From top to bottom, we have Iron Man, Captain America, Nebula, Thor, Okoye, Ant-Man, Hulk, Black Widow, Hawkeye, Rocket and War Machine. It’s worth noting that Hulk is clad in the Hulkbuster armor on this poster, too. The armor, also nicknamed “Veronica,” was donned by Bruce Banner in Avengers: Infinity War when the other guy was refusing to come out. Other posters and promo art have shown that Hulk would return in Endgame, but he’s only been depicted in one of those white Quantum Realm suits so far. This poster, however, heavily suggests that the hero will wear the Stark armor as well in the movie. It makes sense, too, as the Jade Giant did have his green behind handed to him last time he went up against Thanos. With the extra firepower of the Hulkbuster armor on his side, though, he might stand more of a chance. Especially if the theories are right and we’ll be getting Professor Hulk in Avengers: Endgame.